Crafted from sterling silver decorated with hand-painted pink and red enamel hearts, this stunning clip will add a sweet touch of love to every bracelet styling. Available online or in-store.This item is a single clip charm only. Bracelets sold seperately. 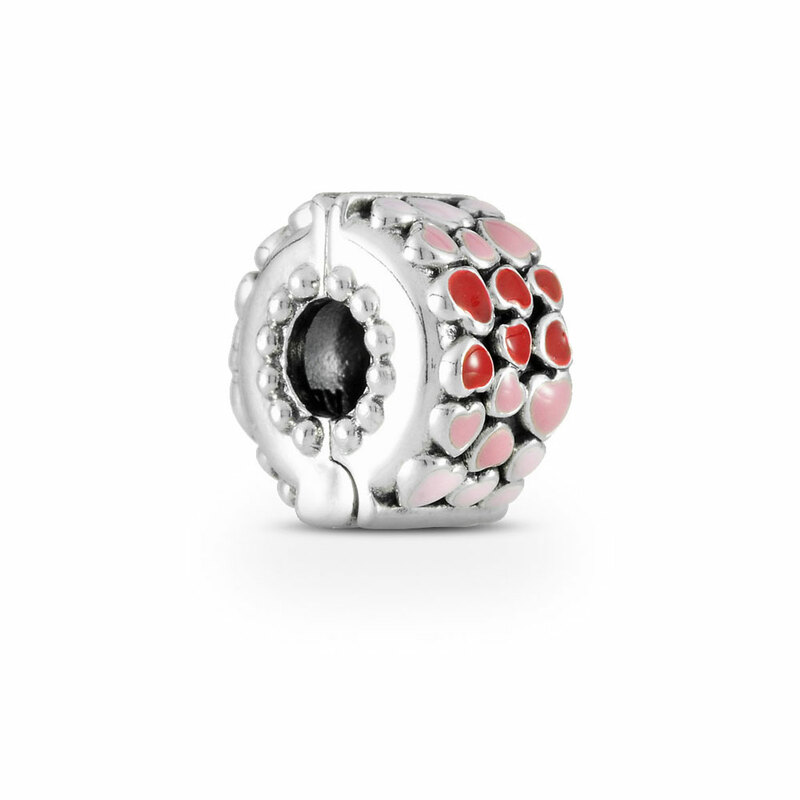 Styling images may show this charm on a bracelet as styling inspiration.